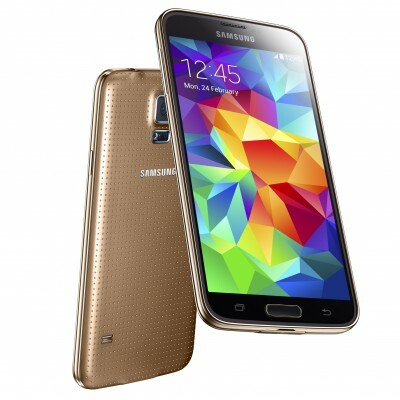 Samsung released the Galaxy S5 in April 2014 and it was available for Rogers in blue, white, gold or black. The S5 is Samsung’s 5th successor in their infamous Galaxy S series. The Galaxy S5 is available in 16GB and 32GB model variants, both of which can be externally expanded up to 128GB. The S5 has a 5.1″ super AMOLED touch screen with Corning Gorilla Glass and TouchWiz UI. It also has a 16MP camera, with a 2160 p video recorder, and a 2MP front-facing camera. This camera supports simultaneous video and image recording, geo-tagging, and face and smile detection – just to name a few. The Galaxy S5 was at the top of the Android market and exceeded expectations. This model is highly efficient and practical, with its quad-core processor, 2GB RAM, and Adreno 330. The Galaxy S5 makes a great personal assistant and can pretty much do anything you need it to! The body itself is IP67 certified; water and dust resistant up to 1 meter and 30 minutes. And it now supports wireless charging! Unlocking your Rogers Galaxy S5 is fast, simple and 100% guaranteed by Cellunlocker.net. Unlocking your Rogers Galaxy S5 with Cellunlocker.net today and receive your network unlock code on the same day! Why Unlock your Rogers Galaxy S5 with Cellunlocker.net? * There is absolutely no risk of damaging your Samsung S5 phone by unlocking it. Unlock Your Samsung Galaxy S5 Today!